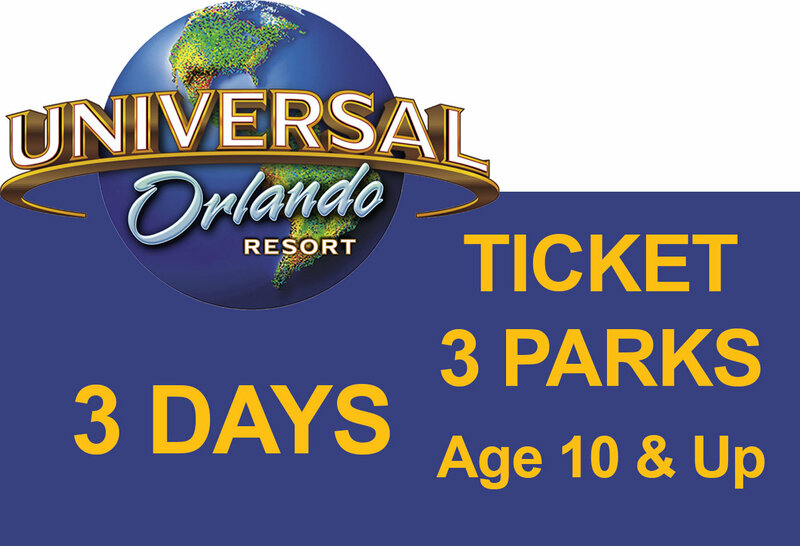 3-Park 3-Day Park to Park: 3-day admission to Universal Studios, Island of Adventure and the new Volcano Bay water park, where you can switch between one park to the other during the 3 days. Entry is valid for 7 consecutive days after the first day of use. Take your vacation to the next level of awesome with the thrills and relaxation of Universal's Volcano Bay™, a water theme park like no other. Plus, immerse yourself in blockbuster entertainment at Universal Studios Florida™ and non-stop excitement at Universal's Islands of Adventure™.